NEMCO Motorsports’ NASCAR Camping World Truck Series History at the Homestead-Miami Speedway ... This weekend will mark NEMCO Motorsports’ fourth NASCAR Camping World Truck Series start at the Homestead, Fla.,-facility. The organization posted a team best finish of second-place with John Hunter Nemechek on November 20, 2015. Three starts at the Homestead-Miami Speedway have earned NEMCO Motorsports an average starting position of 7.3 and an average finish of 7.0. NEMCO Motorsports’ NASCAR Camping World Truck Series History ... Since entering the NASCAR Camping World Truck Series in 1995, the Mooresville, N.C.,-based organization has logged 131 starts from six drivers, resulting in strong performances that include six victories (Watkins Glen, Chicago, Atlanta, Canada, Gateway, and Iowa) and 28 top-five finishes, as well as 58 top-10 finishes, with an average starting position of 14.3 and an average finishing position of 14.2. NEMCO Motorsports Collectively … In this season's 22 events, NEMCO Motorsports' two NASCAR Camping World Truck Series entries have posted two victories (Gateway and Iowa), nine top-five and 12 top-10 finishes. The NEMCO Motorsports-prepared Chevrolet Silverados have completed 3,522 laps and have lead 108 of those laps. John Hunter Nemechek and Joe Nemechek rank eighth and 29th respectively in the NASCAR Camping World Truck Series driver points. All in the Family … Team owner Joe Nemechek has found success in the NASCAR XFINITY Series (NXS) in south Florida with three victories (1997, 1999, and 2001) credited to his name, as well as five top-five and eight top-10 finishes in 17 starts. Nemechek has posted more wins at the Homestead-Miami Speedway then at any other track in the NASCAR XFINITY Series. In 12 starts at the Homestead-Miami Speedway, Nemechek is credited with one top-five finish and one top-10 finish in the Monster Energy NASCAR Cup Series (MENCS). In addition, Nemechek has two NASCAR Camping World Truck Series starts at the track with an average finish of seventh-place. John Nemechek had two starts at the Homestead-Miami Speedway in the NASCAR Camping World Truck Series. Catch the Action ... The Ford EcoBoost 200 will be broadcast live on FS1 on Friday, November 17 starting with the pre-race show at 7:30 p.m. (ET). It will also broadcast live at 7:30 p.m. (ET) on the Motor Racing Network (MRN) and SiriusXM NASCAR Radio. Qualifying for the final event of the 2017 NASCAR Camping World Truck Series schedule will air Friday at 3:30 p.m. (ET) on FS1. In addition, the Friday practice sessions will be televised live on FS1 at 8:30 a.m. (ET) and at 10:00 a.m. (ET). This Week's NEMCO Motorsports Chevrolet Silverado at the Homestead-Miami Speedway ... John Hunter Nemechek will pilot Chassis No. 041 in the Ford EcoBoost 200 at the Homestead-Miami Speedway. The Gere Kennon-led team last unloaded this NEMCO Motorsports prepared chassis at the Texas Motor Speedway on November 3, where they finished in the 19th-place after starting in the 11th-place. In the chassis’ ten starts at Charlotte (N.C.) Motor Speedway, Texas Motor Speedway, Kentucky Speedway, Pocono (Pa.) Raceway, Michigan International Speedway and the Homestead-Miami Speedway with Nemechek, the chassis has an average finishing position of 13.6. Sound the Alarm … The NEMCO Motorsports No. 8 Chevrolet Silverado returns with the Fire Alarm Services, Inc., (FAS) brand as the primary sponsor at the Homestead-Miami Speedway. Headquartered in Arvada, Colorado, Fire Alarm Services, Inc., provides superior fire and life safety and security services and products for protecting their client's real estate investment. “I'm going to Miami, welcome to Miami” ... This weekend marks John Hunter Nemechek’s third Homestead-Miami Speedway appearance with the NASCAR Camping World Truck Series. The Mooresville, N.C., driver has earned an average starting position of 4.0 and an average finishing position of 6.5 at the 1.5-mile track. Nemechek made his NASCAR Camping World Truck Series track debut on November 20, 2015. Speedway Stats: In 39 combined NASCAR Camping World Truck Series starts on speedways (tracks 1 to 2-miles in length), John Hunter Nemechek has recorded three victories (Chicago, Atlanta and Gateway), 12 top-five and 20 top-10 finishes. He has led for a total of 171 laps on NASCAR’s speedway tracks. 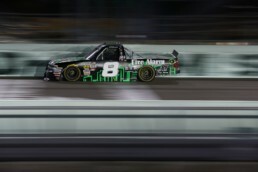 Race Rewind: Homestead-Miami Speedway … John Hunter Nemechek, driver of the No. 8 Fire Alarm Services, Inc., Chevrolet Silverado for NEMCO Motorsports, finished in the 11th-place in the NASCAR Camping World Truck Series Ford EcoBoost 200 last at the Homestead-Miami Speedway on November 18, 2016. Nemechek started the scheduled 134-lap event from the 11th-place, and the 19-year old was scored in the ninth-place by Lap 34, and holding that position through Lap 101 before ultimately finishing in the sixth-place. In the Rearview Mirror: Phoenix International Raceway … John Hunter Nemechek, driver of the No. 8 Fire Alarm Services, Inc., Chevrolet Silverado for NEMCO Motorsports, scored a second-place finish in the Lucas Oil 150 NASCAR Camping World Truck Series race on Friday, November 10, at the Phoenix International Raceway. Nemechek started in the sixth-position in the 32-truck field. 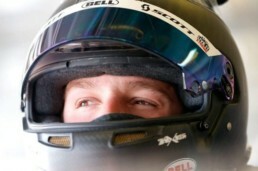 The 20-year old finished Stage 1 in the fifth-place, on Lap 40, and was scored in the seventh-place by Lap 80. After three red flags, with an intense side-by-side duel with seven laps left, Nemechek restarted second on Lap 149 of 150, and the leader was able to hold-off Nemechek by .668 seconds. Despite finishing second, only a win would secure a position in the NASCAR Camping World Truck Series Playoffs final four for Nemechek. Season-to-date … Through the first 22 NASCAR Camping World Truck Series races of the 2017 season, John Hunter Nemechek has completed 2782 of 3298 laps contested (84.4 percent) and has led 108 laps. Nemechek is currently eighth in the driver point standings and seventh in the NASCAR Camping World Truck Series owner points. In addition, the NEMCO Motorsports driver has collected two victories (Gateway and Iowa), eight top-five and 11 top-10 finishes, has spent 2,246 laps running in the top 15 and has made 640 green-flag passes thus far this season. NEMCO Motorsports’ NASCAR Camping World Truck Series History at the Martinsville Speedway ... With two entries, this weekend will mark NEMCO Motorsports’ 11th and 12th respective NASCAR Camping World Truck Series starts at the .526-mile paperclip-oval track. The organization earned a team best finish of second-place at the short track twice with John Hunter Nemechek on October 31, 2015, and on April 2, 2016. Ten starts at the Martinsville Speedway have earned NEMCO Motorsports an average starting position of 15.2 and an average finish of 13.1. NEMCO Motorsports’ NASCAR Camping World Truck Series History ... Since entering the NASCAR Camping World Truck Series in 1995, the Mooresville, N.C.,-based organization has logged 125 starts from five drivers, resulting in strong performances that include six victories (Watkins Glen, Chicago, Atlanta, Canada, Gateway, and Iowa) and 27 top-five finishes, as well as 57 top-10 finishes, with an average starting position of 14.2 and an average finishing position of 13.9. Collective NEMCO Motorsports … In this season's 19 events, NEMCO Motorsports' two NASCAR Camping World Truck Series entries have posted two victories (Gateway and Iowa), eight top-five and 11 top-10 finishes. The NEMCO Motorsports-prepared Chevrolet Silverados have completed 2,971 laps and have lead 100 of those laps. John Hunter Nemechek and Joe Nemechek rank fourth and 27th respectively in the NASCAR Camping World Truck Series driver points. All in the Family … Team owner Joe Nemechek has found success in the NASCAR XFINITY Series (NXS) at the Martinsville Speedway, with one pole award (1993), two top-five and two top-10 finishes in nine starts. In 38 starts at the Martinsville Speedway, “Front Row” Joe Nemechek, is credited with one pole award (1999), and one top-10 finish in the Monster Energy NASCAR Cup Series (MENCS). John Nemechek had two NASCAR Camping World Truck Series starts at the .526-mile track, finishing in the ninth-place on September 25, 1995. Nemechek, the Triathlete … The NASCAR Camping World Truck Series Playoff contender competed in the PPD IRONMAN 70.3 North Carolina on October 21 in Wilmington, N.C. John Hunter Nemechek finished fourth in the 18-24 year old male grouping, with an overall time of 4:53:26. This 70.3-mile half triathlon competition was a first for 20-year-old Nemechek. Meet John Hunter Nemechek … Fans can visit the Team Chevy Racing display located in the midway at the Martinsville Speedway for a question and answer session with John Hunter Nemechek on Friday, October 27 at 4:30 p.m. (ET).Nemechek is scheduled to participate in an autograph session with the NASCAR Camping World Truck Series from 5:00 p.m. to 5:45 p.m. (ET)on Friday at the Martinsville Speedway, located in front of the Martinsville Speedway ticket office building. Catch the Action ... The Texas Roadhouse 200 presented by Alpha Energy Solutions will be broadcast live on FS1 on Saturday, October 28 starting with the pre-race show at 12:30 p.m. (ET). It will also broadcast live at 12:30 p.m. (ET) on the Motor Racing Network (MRN) and SiriusXM NASCAR Radio. Qualifying for the 20th event of the 2017 NASCAR Camping World Truck Series schedule will air Saturday at 10:00 a.m. (ET) on FS1. In addition, the practice session on Friday, October 27 will be televised live on FS1 at 1:00 p.m. (ET), as well as the final practice for the NASCAR Camping World Truck Series at 3:00 p.m. (ET). This Week's NEMCO Motorsports Chevrolet Silverado at the Martinsville Speedway ... John Hunter Nemechek will pilot Chassis No. 034 in the Texas Roadhouse 200 presented by Alpha Energy Solutions at the Martinsville Speedway. The Gere Kennon-led team last unloaded this NEMCO Motorsports prepared chassis at the Bristol (Va.) Motor Speedway on August 16where Nemechek finished in the third-position after starting 14th in the chassis’ second appearance of the 2017 NASCAR Camping World Truck Series season. Since 2014, Chassis No. 034 has an average finishing position of 10.8 in 14 starts at the Martinsville Speedway, Dover International Speedway, Gateway Motorsports Park, Bristol Motor Speedway and the New Hampshire Motor Speedway. The chassis has six previous starts at the Martinsville Speedway with Nemechek. Sound the Alarm … Breast Cancer awareness returns to John Hunter Nemechek's paint scheme as Fire Alarm Services, Inc., goes pink for the cause. As part of a continued effort to raise awareness for Breast Cancer education and research and to honor those who have fought the disease, Fire Alarm Services, Inc., requested to incorporate a pink theme into the No. 8 Chevrolet Silverado at the Talladega Superspeedway, and again at the Martinsville Speedway. Headquartered in Arvada, Colo., Fire Alarm Services, Inc., provides superior fire and life safety and security services and products for protecting their client's real estate investment. Think Pink with Zeta Tau Alpha …. The NEMCO Motorsports driver, like many NASCAR drivers, will run a pink paint scheme in honor of Breast Cancer Awareness Month. John Hunter Nemechek’s No. 8 Chevrolet Silverado will also feature Think Pink®, a registered trademark of Zeta Tau Alpha (ZTA). Since 2004, this term has represented the organization’s overall theme for breast cancer education and awareness efforts. ZTA members have distributed more than 19 million ZTA Think Pink ribbons to generate breast cancer awareness, to support breast cancer survivors and to honor those who have lost their lives to the disease. Paperclip Review ... This weekend marks John Hunter Nemechek’s ninth Martinsville Speedway appearance with the NASCAR Camping World Truck Series. The Mooresville, N.C., driver has earned an average starting position of 14.4 and an average finishing position of 13.0 at the .526-mile track. Nemechek has led for a total of 50 laps at the historic track. In addition, Nemechek made his NASCAR Camping World Truck Series debut on October 26, 2013 at the Virginia short track behind the wheel of the No. 22 family-owned machine. Short Track Stats: In 16 NASCAR Camping World Truck Series starts on short tracks (less than one mile in length), John Hunter Nemechek has recorded one win, six top-five and nine top-10 finishes, with an average starting position of 11.7 and an average finish of 10.6 on these racetracks. Race Rewind: Martinsville Speedway … Due to a parts failure at the Martinsville Speedway, John Hunter Nemechek, the driver of the No. 8 D.A.B. Constructors, Inc., Chevrolet Silverado, finished in the 28th-place in the Alpha Energy Solutions 250 NASCAR Camping World Truck Series race on April 1. After starting in the 12th-place in the 32-truck field, Nemechek finished the first 70 lap segment in the tenth position, and continued to show strength while climbing all the way to fourth before an ignition wire failure resulted in a caution on Lap 119, a misfortune that forced Nemechek to unexpectedly drive to the garage. His crew immediately went to work on the Chevrolet Silverado. It took 37 laps to complete the repairs but it was too late and he was unable to overcome the deficit, however, crew chief Gere Kennon was able to resolve the faulty part and Nemechek returned to track. On Lap 140 Nemechek returned to pit road, and persevered at the end of the race to be the fastest truck on track while 23 laps down. In the Rearview Mirror: Talladega (Ala.) Superspeedway … John Hunter Nemechek, driver of the No. 8 Fire Alarm Services, Inc., Chevrolet Silverado for NEMCO Motorsports, scored a six-place finish in the fred’s 250 NASCAR Camping World Truck Series race at the Talladega Superspeedway on October 14. Nemechek started in the 15th-position in the 31-truck field. On Lap 20, the conclusion of Stage 1, Nemechek was scored in seventh-place holding position until the end of Stage 2 on Lap 40. Caught in a five-truck incident on Lap 54, Nemechek was left with a badly damaged but salvageable No. 8 Fire Alarm Services, Inc., Chevrolet. The caution flag waved for the fifth time on Lap 91, sending the race into overtime. Nemechek was in the 12th-place for the final restart – needing to finish in the 12th-place or higher to advance in the Round of 6 Playoff. An incident on the final lap brought out the yellow flag one more time, and Nemechek finished under caution in the sixth-place. NASCAR Camping World Truck Series Playoffs … With his win at the Gateway Motorsports Park on June 17, John Hunter Nemechek claimed NASCAR Camping World Truck Series Playoff eligibility with a victory during the regular season. Nemechek is fourth in the Round of 6 Playoff standings with 14 playoff points – tied with Matt Crafton. Crafton is scored in third-place due to the highest finish in the previous round. Season-to-date … Through the first 19 NASCAR Camping World Truck Series races of the 2017 season, John Hunter Nemechek has completed 2450 of 2801 laps contested (87.5 percent) and has led 100 laps. Nemechek is currently fourth in the driver point standings and fifth in the NASCAR Camping World Truck Series owner points. In addition, the NEMCO Motorsports driver has collected two victories (Gateway and Iowa), seven top-five and 10 top-10 finishes, has spent 1,986 laps running in the top 15 and has made 575 green-flag passes thus far this season. NEMCO Motorsports’ NASCAR Camping World Truck Series History at the Talladega Superspeedway ... This weekend will mark NEMCO Motorsports’ fourth NASCAR Camping World Truck Series (NCWTS) start at the Lincoln, Ala., facility. The organization posted a team best 10th-place finish at the track with driver Joe Nemechek on October 18, 2014. Three starts at the 2.66-mile superspeedway have earned NEMCO Motorsports an average starting position of 11.0 and an average finish of 17.7, and a total of five laps led. NEMCO Motorsports’ NASCAR Camping World Truck Series History ... Since entering the NASCAR Camping World Truck Series in 1995, the Mooresville, N.C.,-based organization has logged 123 starts from five drivers, resulting in strong performances that include six victories (Watkins Glen, Chicago, Atlanta, Canada, Gateway, and Iowa) and 27 top-five finishes, as well as 56 top-10 finishes, with an average starting position of 14.2 and an average finishing position of 13.8. Collective NEMCO Motorsports … In this season's first 18 events, NEMCO Motorsports' two NASCAR Camping World Truck Series entries have posted two victories (Gateway and Iowa), eight top-five and 10 top-10 finishes. The NEMCO Motorsports-prepared Chevrolet Silverados have completed 2,874 laps and have lead 100 of those laps. John Hunter Nemechek and Joe Nemechek rank eighth and 26th respectively in the NASCAR Camping World Truck Series driver points. All in the Family … Team owner Joe Nemechek has found success in the NASCAR XFINITY Series (NXS) at the Talladega Superspeedway with five pole awards, two victories (1998, 2000), seven top-five and nine top-10 finishes in 20 starts. “Front Row” Joe Nemechek is also credited with four pole awards, one top-five, and five top-10 finishes in 38 starts in the Monster Energy NASCAR Cup Series (MENCS) at the Talladega Superspeedway. Additionally, Nemechek is credited with two NASCAR Camping World Truck Series starts in 2006 and 2014. Media Alert … John Hunter Nemechek will be accessible to media in attendance at the Talladega Superspeedway on Friday, October 13 at 10:15 a.m. (CT). The NASCAR Camping World Truck Series media availability will be hosted inside the media center. Meet John Hunter Nemechek … Fans can visit the Team Chevy Racing display located in the midway at the Talladega Superspeedway for a question and answer session with John Hunter Nemechek on Friday, October 13 at 2:45 p.m. (CT). Nemechek is scheduled to participate in an autograph session with the NASCAR Camping World Truck Series from 3:00 p.m. to 3:45 p.m. (CT) on Friday at the Talladega Superspeedway, located in the Legends Hospitality Village. Catch the Action ... The fred’s 250 Powered by Coca-Cola will be broadcast live on FOX on Saturday, October 14 starting with the pre-race show at 12:30 p.m. (ET). It will also broadcast live at 12:30 p.m. (ET) on the Motor Racing Network (MRN) and SiriusXM NASCAR Radio. Qualifying for the 19th event of the 2017 NASCAR Camping World Truck Series schedule will air Saturday at10:30 a.m. (ET) on FS1. In addition, the practice session on Friday, October 13 will be televised live on FS1 at 12:00 p.m. (ET), as well as the final practice for the NASCAR Camping World Truck Series at 2:00 p.m. (ET). This Week's NEMCO Motorsports Chevrolet Silverado at the Talladega Superspeedway ... John Hunter Nemechek will pilot Chassis No. 226 in the fred’s 250 Powered by Coca-Cola at the Talladega Superspeedway. The Gere Kennon-led team last unloaded this NEMCO Motorsports prepared chassis at the Daytona (Fla.) International Speedway on February 24, where Joe Nemechek finished in the fifth-place after starting in the ninth-place. This NEMCO Motorsports-prepared Chevrolet Silverado was new to the team for the 2017 NASCAR Camping World Truck Series season. Sound the Alarm … Breast Cancer awareness finds its way into the NASCAR Camping World Truck Series as John Hunter Nemechek's paint scheme goes pink for the cause. As part of a continued effort to raise awareness for Breast Cancer education and research and to honor those who have fought the disease, Fire Alarm Services, Inc., requested to incorporate a pink theme into the No. 8 Chevrolet Silverado at the Talladega Superspeedway. Headquartered in Arvada, Colo., Fire Alarm Services, Inc., provides superior fire and life safety and security services and products for protecting their client's real estate investment. Think Pink with Zeta Tau Alpha …. The NEMCO Motorsports driver, like many NASCAR drivers, will run a pink paint scheme at the Talladega Superspeedway in honor of Breast Cancer Awareness Month. John Hunter Nemechek’s No. 8 Chevrolet Silverado will also feature Think Pink®, a registered trademark of Zeta Tau Alpha (ZTA). Since 2004, this term has represented the organization’s overall theme for breast cancer education and awareness efforts. ZTA members have distributed more than 19 million ZTA Think Pink ribbons to generate breast cancer awareness, to support breast cancer survivors and to honor those who have lost their lives to the disease. Talladega Nights ... This weekend marks John Hunter Nemechek’s third Talladega Superspeedway appearance with the NASCAR Camping World Truck Series. The Mooresville, N.C., driver has earned an average starting position of 12.5 and an average finishing position of 21.5 at the 2.66-mile track. He made his track debut on October 24, 2015. Restrictor Plate Stats: In four combined NASCAR Camping World Truck Series starts on restrictor plate tracks (Daytona International Speedway and Talladega Superspeedway), John Hunter Nemechek has an average finish of 16.0 with 310 laps completed. John Hunter Nemechek has one more restrictor plate start in the NASCAR Camping World Truck Series than his father, Joe Nemechek. Race Rewind: Talladega Superspeedway … John Hunter Nemechek, driver of the No. 8 Fire Alarm Services, Inc., Chevrolet Silverado for NEMCO Motorsports, finished in the 32nd-position in the NASCAR Camping World Truck Series fred's 250 Powered by Coca-Cola at the Talladega Superspeedway on October 22, 2016. In a season of high achievement that was muted by misfortune, this twist eliminated the NEMCO Motorsports driver from the 2016 season’s championship contention with an engine failure in the No. 8 Fire Alarm Services, Inc., Chevrolet on Lap 13 of a scheduled 94-lap event that sent Nemechek to the garage and out of the NASCAR Camping World Truck Series Playoffs. Nemechek, the Triathlete … Logging miles behind the wheel on the race track is not enough for John Hunter Nemechek. Chasing the finish line is imprinted on his soul. The NASCAR Camping World Truck Series Playoff contender will compete in the PPD IRONMAN 70.3 North Carolina on October 21 in Wilmington, N.C. The triathlon will be the first 70.3-mile half triathlon competition for the 20-year-old Nemechek. When he is not at the track or at the NEMCO Motorsports shop, Nemechek vigorously trains averaging 15 hours a week on triathlon routines. Running and cycling were already a part of Nemechek’s normal cardio routine, so he has incorporated Brick Training, which combine two of the three triathlon sports in a single workout, as part of his focus on preparing for the PPD IRONMAN 70.3 North Carolina. In the Rearview Mirror: Las Vegas Motor Speedway … John Hunter Nemechek, driver of the No. 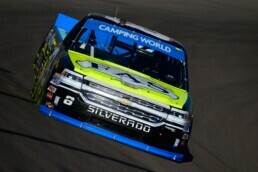 8 Berry's Manufacturing Chevrolet Silverado for NEMCO Motorsports, scored an eighth-place finish in the Vegas 350 NASCAR Camping World Truck Series race on Saturday, September 30, at the Las Vegas Motor Speedway. Nemechek started in the 15th-position in the 29-truck field. The 20-year old finished Stage 1 in the 11th-place, on Lap 35, and was in the third-place by Lap 70. The team’s variant pit strategy placed Nemechek as the leader on Lap 125. Nemechek’s No. 8 Chevrolet Silverado ran out of fuel under caution with 14 laps remaining in the 146-lap event. He headed to pit road for fuel and tires, and then stalled leaving pit road, and his NEMCO Motorsports crew had to push his machine back to the pit stall before pulling away. Although Nemechek stayed on the lead lap, he was in tenth-place on the restart with seven laps remaining. With a dash to the finish, battling side-by-side for position, Nemechek had quickly moved up in the running order before receiving damage from a lapped truck. Unable to close the gap in the remaining laps, Nemechek crossed the finish line in eighth-place. NASCAR Camping World Truck Series Playoffs … With his win at the Gateway Motorsports Park on June 17, John Hunter Nemechek claimed NASCAR Camping World Truck Series Playoff eligibility with a victory during the regular season. Nemechek is eighth in the Round of 8 Playoff standings with 14 playoff points. Season-to-date … Through the first 18 NASCAR Camping World Truck Series races of the 2017 season, John Hunter Nemechek has completed 2355 of 2706 laps contested (87.0 percent) and has led 100 laps. Nemechek is currently eighth in the driver point standings and sixth in the NASCAR Camping World Truck Series owner points. In addition, the NEMCO Motorsports driver has collected two victories (Gateway and Iowa), seven top-five and nine top-10 finishes, has spent 1,910 laps running in the top 15 and has made 514 green-flag passes thus far this season. NEMCO Motorsports’ NASCAR Camping World Truck Series History at the New Hampshire Motor Speedway ... This weekend will mark NEMCO Motorsports’ fourth NASCAR Camping World Truck Series (NCWTS) start at the Loudon, N.H., facility. The organization has tied the team best finish with two fifth-place finishes at the track with driver John Hunter Nemechek on September 20, 2014, and September 26, 2015. Three starts at the 1.058-mile track have earned NEMCO Motorsports an average starting position of 12.3 and an average finish of 6.3. NEMCO Motorsports’ NASCAR Camping World Truck Series History ... Since entering the NASCAR Camping World Truck Series in 1995, the Mooresville, N.C.,-based organization has logged 119 starts from five drivers, resulting in strong performances that include six victories (Watkins Glen, Chicago, Atlanta, Canada, Gateway, and Iowa) and 27 top-five finishes, as well as 55 top-10 finishes, with an average starting position of 14.0 and an average finishing position of 13.6. Collective NEMCO Motorsports … In the season's first 16 events, NEMCO Motorsports' two NASCAR Camping World Truck Series entries have posted two victories (Gateway and Iowa), eight top-five and nine top-10 finishes. The NEMCO Motorsports-prepared Chevrolet Silverados have completed 2,569 total laps and have lead 92 of those laps. John Hunter Nemechek and Joe Nemechek rank third and 27th respectively in the NASCAR Camping World Truck Series driver points. Catch the Action ... The UNOH 175 will be broadcast live on FS1 on Saturday, September 23 starting with the pre-race show at12:30 p.m. (ET). It will also broadcast live at 12:30 p.m. (ET) on the Motor Racing Network (MRN) and SiriusXM NASCAR Radio. Qualifying for the 17th event of the 2017 NASCAR Camping World Truck Series schedule will air Saturday at 10:00 a.m. (ET) on FS1. In addition, the practice session on Friday, September 22 will be televised live on FS1 at 1:30 p.m. (ET), as well as the final practice for the NASCAR Camping World Truck Series at 3:30 p.m. (ET). This Week's NEMCO Motorsports Chevrolet Silverado at the New Hampshire Motor Speedway ... John Hunter Nemechek will pilot Chassis No. 042 in the UNOH 175 at the New Hampshire Motor Speedway. The Gere Kennon-led team last unloaded this NEMCO Motorsports prepared chassis at the Iowa Speedway on June 23, where they finished in the first-place after starting in the fifth-place. In the chassis’ nine collective starts at the Gateway Motorsports Park, Iowa Speedway, Phoenix (Ariz.) International Raceway, and the New Hampshire Motor Speedway with Nemechek, the chassis has an average finishing position of 7.11. Sound the Alarm … The NEMCO Motorsports No. 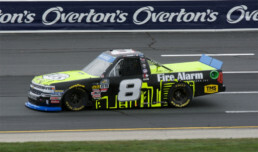 8 Chevrolet Silverado returns with the Fire Alarm Services, Inc., (FAS) brand as the primary sponsor at the New Hampshire Motor Speedway. Headquartered in Arvada, Colorado, Fire Alarm Services, Inc., provides superior fire and life safety and security services and products for protecting their client's real estate investment. Wicked Fast ... This weekend marks John Hunter Nemechek’s fourth New Hampshire Motor Speedway appearance with the NASCAR Camping World Truck Series. The Mooresville, N.C., driver has earned an average starting position of 12.3 and an average finishing position of 6.3 at the 1.058-mile track, known as the “Magic Mile.” Nemechek has collected two top-five and one top-10 finish. He made his track debut on September 20, 2014. NEMCO Motorsports’ NASCAR Camping World Truck Series History at the Canadian Tire Motorsport Park ... This weekend will mark NEMCO Motorsports’ fourth NASCAR Camping World Truck Series start at the facility in Bowmanville, Ontario, Canada. The organization posted a team best finish with a victory at the track with driver John Hunter Nemechek on September 4, 2016. Three starts at the Canadian Tire Motorsport Park have earned NEMCO Motorsports an average starting position of 13.7 and an average finish of 11.7. NEMCO Motorsports’ NASCAR Camping World Truck Series History ... Since entering the NASCAR Camping World Truck Series in 1995, the Mooresville, N.C.,-based organization has logged 115 starts from five drivers, resulting in strong performances that include six victories (Watkins Glen, Chicago, Atlanta, Canada, Gateway, and Iowa) and 27 top-five finishes, as well as 54 top-10 finishes with an average starting position of 14.0 and an average finishing position of 13.3. Collective NEMCO Motorsports … In the season's first 14 events, NEMCO Motorsports' two NASCAR Camping World Truck Series entries have posted two victories (Gateway and Iowa), eight top-five and eight top-10 finishes. The NEMCO Motorsports-prepared Chevrolet Silverados have completed 2,348 total laps and lead 92 of those laps. John Hunter Nemechek and Joe Nemechek rank eighth and 27th respectively in the NASCAR Camping World Truck Series driver points. Canadian Tire Motorsport Park Connection … Ron Fellows, Canadian Tire Motorsport Park co-owner, has driven for team owner Joe Nemechek. In four NASCAR Camping World Truck Series starts for NEMCO Motorsports, Fellows posted the team’s first NASCAR Camping World Truck Series victory (Watkins Glen) and two top-five finishes, as well as two top-10 finishes, with an average starting position of 10.0 and an average finishing position of 10.0. Fellows has five Monster Energy NASCAR Cup Series (MENCS) starts, and five NASCAR XFINITY Series (NXS) starts for Nemechek. In addition, he earned three victories for NEMCO Motorsports in the NASCAR XFINITY Series at the Watkins Glen International (1998, 2000, and 2001). Media Availability ... John Hunter Nemechek will be accessible to media in attendance at the Canadian Tire Motorsport Park on Saturday, September 2 at 1:30 p.m. (ET). The media availability will be hosted inside the media center. Meet John Hunter Nemechek … John Hunter Nemechek is scheduled to participate in an autograph session with the NASCAR Camping World Truck Series from 2:00 p.m. to 2:45 p.m. (ET) on Saturday, September 2 in a tent located in Paddock E at the Canadian Tire Motorsport Park. Catch the Action ... The Chevrolet Silverado 250 will be broadcast live on FS1 on Sunday, September 3 starting with the pre-race show at 2:00 p.m. (ET). It will also broadcast live at 2:00 p.m. (ET) on the Motor Racing Network (MRN) and SiriusXM NASCAR Radio. Qualifying for the 15th event of the 2017 NASCAR Camping World Truck Series schedule will air Saturday, September 2 at 5:30 p.m. (ET) on FOX Sports 2. This Week's NEMCO Motorsports Chevrolet Silverado at the Canadian Tire Motorsport Park ... John Hunter Nemechek will pilot Chassis No. 038 in the Chevrolet Silverado 250 at the Canadian Tire Motorsport Park. The Gere Kennon-led team last unloaded this NEMCO Motorsports prepared chassis at the Canadian Tire Motorsport Park on September 4, 2016 where Nemechek was victorious after starting in the 13th-position in the chassis’ first, and only, appearance of the 2016 NASCAR Camping World Truck Series season. This will be the chassis’ second start with Nemechek, as it was new to NEMCO Motorsports in 2016. Sound the Alarm … The NEMCO Motorsports No. 8 Chevrolet Silverado returns with the Fire Alarm Services, Inc., (FAS) brand as the primary sponsor at the Canadian Tire Motorsport Park. Headquartered in Arvada, Colorado, Fire Alarm Services, Inc., provides superior fire and life safety and security services and products for protecting their client's real estate investment. As Part of Darlington Raceway’s Official Throwback Weekend of NASCAR … NEMCO Motorsports will pay tribute to an iconic paint scheme this weekend at the Canadian Tire Motorsport Park. Joe Nemechek once drove this paint scheme in the NASCAR Camping World Truck Series, and was victorious in the paint scheme in the NASCAR XFINITY Series in 1997. Ron Fellows also drove to victory lane in the NASCAR XFINITY Series for NEMCO Motorsports on June 28, 1998 at the Watkins Glen International. Canada, Eh? ... This weekend marks John Hunter Nemechek’s fourth Canadian Tire Motorsport Park appearance with the NASCAR Camping World Truck Series. The Mooresville, N.C., driver has earned an average starting position of 13.7 and an average finishing position of 11.7 at the 2.459-mile road course. Nemechek collected one win (2016), one top-five and two top-10 finishes, with a total of 20 laps led. He made his track debut on August 31, 2014. Road Course Stats: In three combined NASCAR Camping World Truck Series starts on road courses, John Hunter Nemechek has recorded one victory (Canada), one top five, and two top-10 finishes. In addition, Nemechek has five starts on road courses, with entries at the Carolina Motorsports Park, and the Rockingham Raceway Park (Road Course), and the Watkins Glen International in the Allison Legacy Race Series, and the NASCAR K & N Pro Series East, respectively. Race Rewind: Canadian Tire Motorsport Park … Driving the No. 8 Chevrolet Silverado for NEMCO Motorsports, John Hunter Nemechek battled on the last lap of the Chevrolet Silverado 250 to score his third career NASCAR Camping World Truck Series victory, and his first at the Canadian Tire Motorsport Park. This was also Nemechek’s first NASCAR Camping World Truck Series win on a road course. Nemechek was fast throughout the race weekend, posting top-five lap times in both practices on September 3, 2016 at the 2.459-mile road course, and then qualifying 13th with a posted speed of 110.205 mph. In the Rearview Mirror: Bristol Motor Speedway … John Hunter Nemechek, driver of the No. 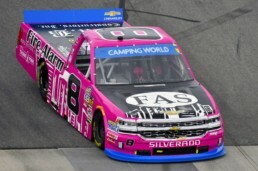 8 Plan B Sales, Inc., Chevrolet Silverado for NEMCO Motorsports, scored a third-place finish in the UNOH 200 NASCAR Camping World Truck Series race on Wednesday, August 16, at the Bristol Motor Speedway. Nemechek started in the 14th-position in the 32-truck field. Nemechek finished the first 55 lap segment in the 12th-place and was in the 10th-place ending the Stage 2 on Lap 110. A late race caution with five laps and a final restart from the field going into overtime, Nemechek restarted in the fourth-place on the 0.533-mile oval, and gained one position to finish third. 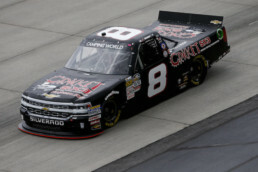 Nemechek posted his fourth top-10 finish in four races at the Bristol Motor Speedway, and secured his seventh top-five in 14 NASCAR Camping World Truck Series races. NASCAR Camping World Truck Series Playoffs … With his win at the Gateway Motorsports Park on June 17, John Hunter Nemechek claimed NASCAR Camping World Truck Series Playoff eligibility with a victory during the regular season. Nemechek is second in the Playoff standings, with two wins and 11 playoff points. Season-to-date … Through the first 14 NASCAR Camping World Truck Series races of the 2017 season, John Hunter Nemechek has completed 1857 of 2171 laps contested (85.5 percent) and has led 92 laps. Nemechek is currently eighth in the driver point standings and 10th in the NASCAR Camping World Truck Series owner points. In addition, the NEMCO Motorsports driver has collected two victories (Gateway and Iowa), seven top-five and seven top-10 finishes, has spent 1,343 laps running in the top 15 and has made 407 green-flag passes thus far this season. Venue: Pocono (Pa.) RacewayNEMCO Motorsports’ NASCAR Camping World Truck Series History at the Pocono Raceway ... This weekend will mark NEMCO Motorsports’ fourth NASCAR Camping World Truck Series start at the 2.5-mile track known as the “Tricky Triangle.” The organization earned a team best finish of ninth-place at the Long Pond, Pa.,-facility with John Hunter Nemechek on July 30, 2016. Three starts at the Pocono Raceway have earned NEMCO Motorsports an average starting position of 10.3 and an average finish of 10.7. NEMCO Motorsports has completed 193 of 193 laps (100.0%) contested at the track.NEMCO Motorsports’ NASCAR Camping World Truck Series History ... Since entering the NASCAR Camping World Truck Series in 1995, the Mooresville, N.C.,-based organization has logged 109 starts from five drivers, resulting in strong performances that include six victories (Watkins Glen, Chicago, Atlanta, Canada, Gateway, and Iowa) and 25 top-five finishes, as well as 52 top-10 finishes with an average starting position of 13.9 and an average finishing position of 12.8.Collective NEMCO Motorsports … In the season's first 11 events, NEMCO Motorsports' two NASCAR Camping World Truck Series entries have posted two victories (Gateway and Iowa), six top-five and six top-10 finishes. The NEMCO Motorsports-prepared Chevrolet Silverados have completed 2,073 total laps – leading 83 laps. John Hunter Nemechek and Joe Nemechek rank sixth and 25th respectively in the NASCAR Camping World Truck Series driver points. All in the Family … Team owner Joe Nemechek has two top-five and four top-10 finishes in the Monster Energy NASCAR Cup Series in 39 starts at the Pocono Raceway. In July 1997, Nemechek won the pole award at the 2.5-mile tri-oval. In addition, Nemechek has one NASCAR Camping World Truck Series start (2014) at the Pocono Raceway finishing in the 10th-place. Media Availability ... John Hunter Nemechek will be in the Pocono Mountains promoting the Overton’s 150 on Thursday, July 27. He will be visiting several locations in the Pocono Mountains and Lehigh Valley to promote the NASCAR Camping World Truck Series Overton’s 150 on Saturday, July 29 at the Pocono Raceway. With the track, Nemechek will be dropping tickets and posting clues on social media at each location as part of the “Overton’s 150 Ticket Scavenger Hunt.” The total trip will be 150 miles from Pocono Raceway, stopping at each ‘pit stop’ location and back to Pocono Raceway. Meet John Hunter Nemechek … John Hunter Nemechek is scheduled to participate in an autograph session with the NASCAR Camping World Truck Series from 10:00 a.m. to 10:45 a.m. (ET) on Friday, July 28 at the Pocono Raceway Chalet Village (Behind Turn 3). Fans can visit the Team Chevy Racing display located in the fan midway at the Pocono Raceway for a question and answer session with Nemechek on Friday at 11:00 a.m. (ET). Catch the Action ... The Overton’s 150 will be broadcast live on FOX on Saturday, July 29 starting with the pre-race show at 12:30 p.m. (ET). It will also broadcast live at 12:30 p.m. (ET) on the Motor Racing Network (MRN) and SiriusXM NASCAR Radio. Qualifying for the 12th event of the 2017 NASCAR Camping World Truck Series schedule will air on Saturday at 10:00 a.m. (ET) on FS1. In addition, the practice session on Friday, July 28 will be televised live on FS1 at 12:00 p.m. (ET), as well as the final practice for the NASCAR Camping World Truck Series at 2:00 p.m. (ET). The Overton’s 150 at the Pocono Raceway will re-air on Sunday, July 30 at 9:30 a.m. on FS1. This Week's NEMCO Motorsports Chevrolet Silverado at the Pocono Raceway ... John Hunter Nemechek will pilot Chassis No. 037 in the Overton’s 150 at the Pocono Raceway. The Gere Kennon-led team last unloaded this NEMCO Motorsports prepared chassis at the Charlotte (N.C.) Motor Speedway on May 19 where Nemechek finished in the 22nd-position after starting in the 13th-position in the chassis’ first appearance of the 2017 NASCAR Camping World Truck Series season. Since 2015, Chassis No. 037 has an average finishing position of 10.6 in six starts. Sound the Alarm … The NEMCO Motorsports No. 8 Chevrolet Silverado returns with the Fire Alarm Services, Inc., (FAS) brand as the primary sponsor at the Pocono Raceway. Headquartered in Arvada, Colorado, Fire Alarm Services, Inc., provides superior fire and life safety and security services and products for protecting their client's real estate investment. It's Tricky, it's Tricky ... This weekend marks John Hunter Nemechek’s third Pocono Raceway appearance with the NASCAR Camping World Truck Series. The Mooresville, N.C., driver has earned an average starting position of 5.5 and an average finishing position of 11.0 at the Long Pond, Pa.,-facility. He made his track debut on August 1, 2015. Race Rewind: Pocono Raceway … John Hunter Nemechek, driver of the No. 8 Chevrolet Silverado for NEMCO Motorsports, finished ninth in the Pocono Mountains 150 NASCAR Camping World Truck Series race at the Pocono Raceway on July 30, 2016. Rain affected on-track activities early Saturday, canceling qualifying for the NASCAR Camping World Truck Series, and the lineup was set by practice speeds. Nemechek started second in the Pocono Mountains 150, and by the halfway marker he was in the third position, but ultimately finished ninth in the 60-lap event. In the Rearview Mirror: Eldora Speedway … John Hunter Nemechek, the driver of the No. 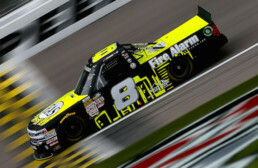 8 Fire Alarm Services, Inc., Chevrolet Silverado, finished in the fifth-place in the Eldora Dirt Derby NASCAR Camping World Truck Series race on Wednesday, July 19. The 20-year old started in the sixth-place in the 32-truck field, and Nemechek finished the first segment in the third place on Lap 40. He took the lead on Lap 42, maintaining position for a total of 11 laps. As the flag waived to signal the end of stage two, Lap 90, Nemechek was in the third place. With 10 laps to go, Nemechek restarted third and was quickly shuffled back into the field to finish in the Eldora Dirt Derby in the fifth-place. Season-to-date … Through the first 11 NASCAR Camping World Truck Series races of the 2017 season, John Hunter Nemechek has completed 1590 of 1808 laps contested (87.9 percent) and has led 83 laps. Nemechek is currently sixth in the driver point standings and seventh in the NASCAR Camping World Truck Series owner points. In addition, the NEMCO Motorsports driver has collected two victories (Gateway and Iowa), five top-five and five top-10 finishes, has spent 1,279 laps running in the top 15 and has made 374 green-flag passes thus far this season.